(NEW YORK, NY) — A stunning eight-room home with unmatched views of Central Park has just been listed for $5.75 million. 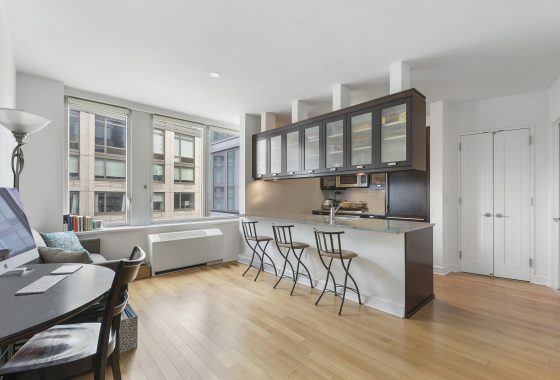 Apartment 7A at 1148 Fifth Avenue, is a beautifully renovated pad with four rooms facing Central Park. Features like a bright windowed eat-in-kitchen, wood burning fireplace, individually controlled thru-wall air conditioning and heat with a thermostat in each room, enhance the living experience. 1148 Fifth Avenue is a full service cooperative with a gorgeous lobby, full-time doorman and concierge, renovated fitness room, and resident superintendent. Pets are allowed. Lisa Lippman from Brown Harris Stevens has the listing.